Cheryl Duchow is from Manitowoc County and has served as Women’s Committee co-chair for more than 10 years. She has been involved with Farm Bureau since she was a teenager when she ran for Miss Farm Bureau and later received a scholarship when she attended college. Today, she attends the WFBF Annual Meeting, Wisconsin Ag Women’s Summit, District 6 Fall Summit, is involved with the Our Food Link program, Manitowoc County Breakfast on the Farm and many county Farm Bureau activities. 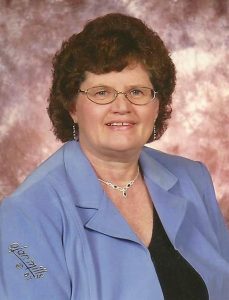 Professionally, Cheryl has worked for Manitowoc County for 27 years and serves as Manitowoc County Treasurer. In other leadership roles, Cheryl is treasurer for the Silver Lake College Alumni board, secretary of the Faith Lutheran Church board, and is also involved in the church choir, taught Sunday School, lectors, serves communion and finds time to be in an investment club. What do you see as Farm Bureau’s biggest challenges? Cheryl’s hobbies include gardening, camping and spending time with her husband, four children, and six grandchildren.